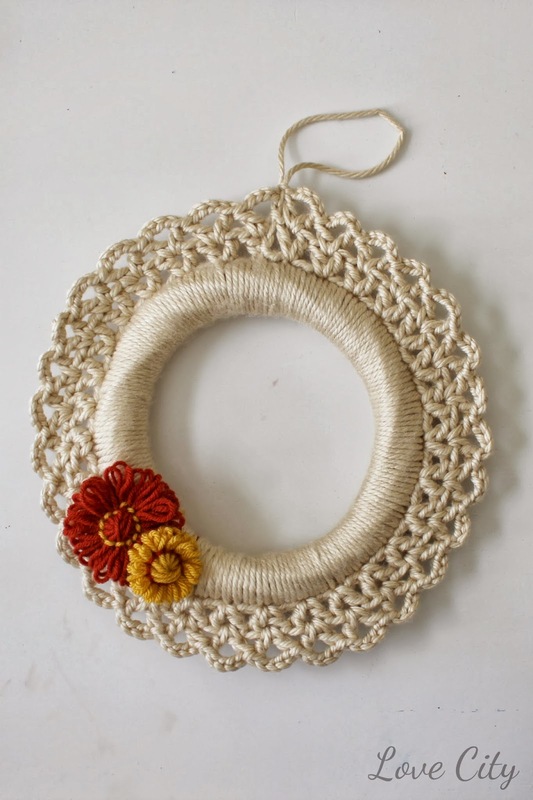 I have been eyeing this beautiful crochet statement wreath from GoodKnits for a while now. 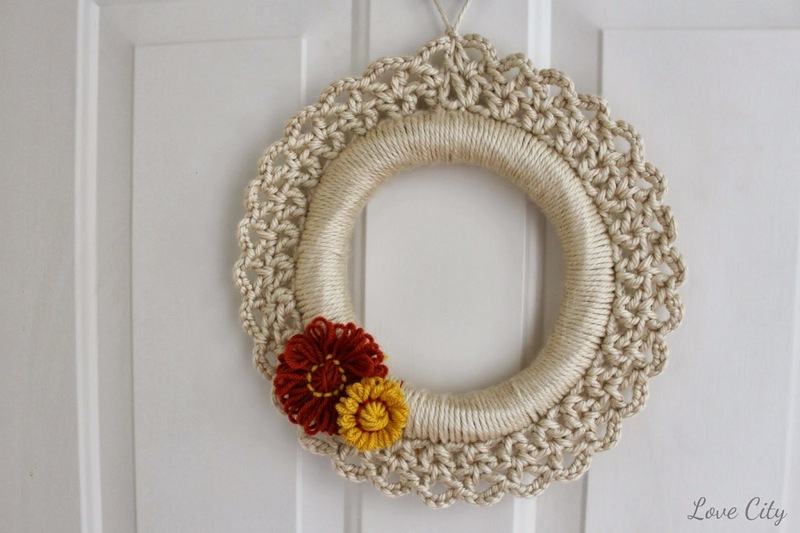 When I decided to make a new wreath for Fall, I knew right away that I wanted to use her crochet wreath idea. I used a neutral colored yarn so that I can mix and match flowers for different holidays/seasons. I used an old wreath form and some Hometown USA, Lion Brand yarn that I already had on hand. I love scavenging from my own stash for a nice, free project! 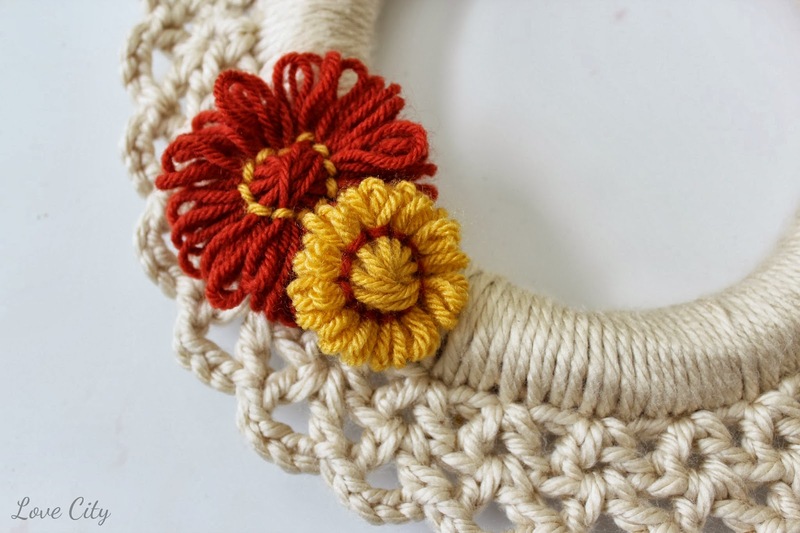 To make the wreath, I started by working single crochet stitches around the wreath form. I made sure to keep them close together and counted them so I had a multiple of 3 for my next round. For round 2, I worked a v-stitch all the way around. For round 3, I also worked a v-stitch with 4 chains in between the double crochets rather than just one. This left a sweet little scalloped edge. When finishing off, I made sure to create a loop for hanging the wreath. I love my new fall wreath and I definitely plan on using it through the Christmas season as well with some pretty crimson and white flowers or something. My pattern is a little different than hers, but thanks to Goodknits for the wonderful idea! 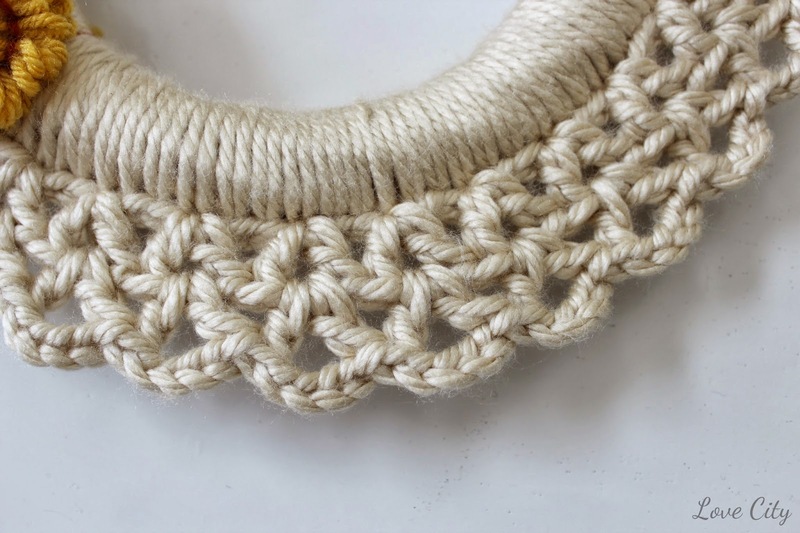 Great idea, I love the yarn choice, you are so right in that you will be able to decorate it per season. Please tell me how you attached the flowers. 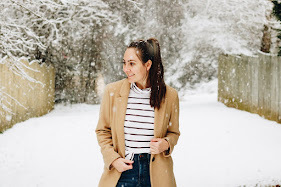 I would like to make these for gifts, and would like to include flowers to change out for each season. Thanks!